BELFORT, France (Reuters) - After four decades on the production line at French trainmaker Alstom, Claude Gemino had little sympathy for Emmanuel Macron when Brussels scotched the French president's hopes of creating a European rail champion. For Gemino and many co-workers at Alstom's Belfort factory, Macron's support for the blocked merger with Germany's Siemens signaled a readiness to put shareholders ahead of jobs and protecting France's fragile manufacturing sector. But the European Commission's veto last week has raised doubts about the president's industrial strategy as he battles to quell unrest over inequality and a perception he is indifferent to the struggles of France's working class. The workers' disdain for Macron's industrial plan reflects a broader lower-class anger at the former investment banker's reforms designed to liberalize and invigorate France's heavily regulated economy. Violent "yellow vest" anti-government protests have convulsed France for the past three months and raised questions over whether the man dubbed the "president of the rich" by left-wingers can make France more competitive. "The order books are apparently pretty full. Management tells us we're covered for the next four or five years," Gemino, who joined Alstom as a teenage apprentice, said as he passed through the plant's turnstile. "The future isn't so bleak." Alstom and Siemens wanted to merge their train manufacturing businesses to compete more effectively against China's state-owned CRRC, the world's biggest trainmaker, at a time rail companies globally are looking to consolidate and reduce costs through economies of scale. 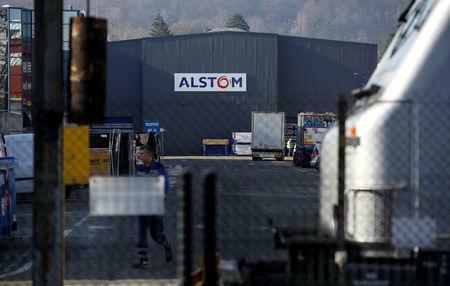 Alstom's unions say the company, with booked orders of 40 billion euros ($45 billion), is strong enough to survive alone and they would prefer to take on China without German help. "There will always be a risk, but Alstom and Siemens are capable of looking after themselves, on their own, and of pushing back against China," said Olivier Kohler, an Alstom employee and member of the moderate CFDT union, France's largest. "Even if there was a merger, their prices would still be lower." Asked if Alstom could compete globally alone, an official in Macron's office said: "In the short term, yes. It's making money. The problem is the long term," they said. At the foot of Belfort's imposing citadel stands a giant statue of a lion carved out of red sandstone, symbolizing the town's resistance against German forces during the Franco-Prussian war of 1870. 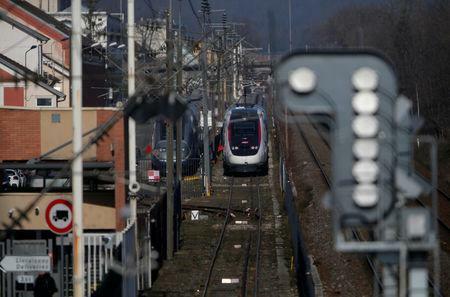 Nowadays, it's Alstom's fate in the face of foreign competition that weighs heavily on the collective psyche of Belfort, a town of 50,000 near Germany and Switzerland where the iconic high-speed TGV (Train a Grande Vitesse) is made. 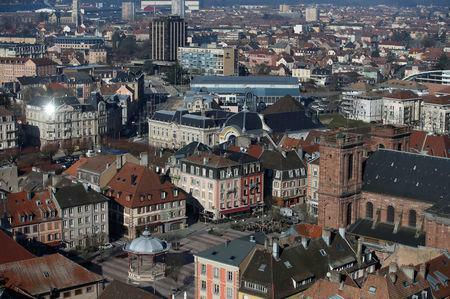 "Alstom is part of the town's identity," said retired SNCF railworker Georges Pagnoncelle. "But French industrial groups keep on being bought by foreign firms, and jobs keep disappearing from France." Alstom's unions were worried that a merger with Siemens would lead to the bleeding of jobs in France, but acknowledged the European Commission's veto was only a short-term reprieve. "We need a political vision for French industry," said Andre Fages of the CFE-CGC union that represents management, stressing the need for investment in research and development. "Our politicians say France needs a strong rail industry. But when they want to buy trains, they want them at Chinese prices." Alstom was Belfort's biggest employer until 2014 when it sold its turbine manufacturing business to U.S. company General Electric. Two years later, the then-Socialist government threw a lifeline 630-million-euro order for TGVs it did not yet need to stop Alstom shutting down the Belfort production line. In a reflection of France's industrial decline, Alstom's TGV plant is now surrounded by towering structures bearing General Electric's logo. Across a rail track stand rows of violet-shuttered terraced dwellings that once housed Alstom workers. The town's mayor, Damien Meslot, said the trainmaker now employed just 480 workers in Belfort, one of a dozen Alstom sites across France. "I keep telling French politicians that we sell Renault cars with the wages of BMW workers," Artus said. France's weak competitiveness underscores the conundrum Macron faces as he searches for a way to take the sting out of the "yellow vest" rebellion. The anti-Macron protesters, many of whom are low-income blue-collar workers, have railed since November against Macron's reforms to liberalize the economy and create a better trained, more highly skilled and flexible labor force. "I don't see how Macron will get out of this crisis," Artus said. In Belfort's town hall, framed photographs of Alstom's factory adorn the office of the mayor, who is a member of the conservative opposition party Les Republicains. Meslot said Macron and the president's socialist predecessor, Francois Hollande, had abandoned French industry, putting shareholder dividends over long-term strategy. "No one knows what will become of the Alstom Belfort plant. For the town's mayor, that's a worry," Meslot said.